As a bankruptcy attorney since 1997 I provide advise to individuals or businesses considering chapter 7 or chapter 13 bankruptcy. I practice exclusively in bankruptcy law and it would be my privilege to help you understand your bankruptcy options. Financial difficulties are a part of life. Everyone has money troubles at one time or another. Bankruptcy laws protect individuals and businesses from creditors and gives you an opportunity to rebuild your credit and get a fresh start. Call us at (818) 409-8911 and let us quote you a flat fee that would cover everything from beginning to end. Each case is different, and the work involved to complete your bankruptcy depends on your amount of debt, amount of assets, and whether you qualify to file bankruptcy. We have been practicing in bankruptcy only since 1997 and we would be proud to help you as well. Experienced Bankruptcy Attorney for individuals and small businesses. Our Bankruptcy Law firm provides aggressive representation in an affordable and client friendly environment. We believe that each client deserves personal attention and responsive communication about bankruptcy law and the bankruptcy process. Clients will meet, consult and communicate directly with attorney Kedikian about all matters on their bankruptcy case. Our objective is to represent and guide our clients through the bankruptcy process in an effective and efficient manner. We will insure our clients are afforded all the protections available under bankruptcy law and we are committed to fight creditors who try to trample our clients rights. Flat Fee, Affordable Bankruptcy Attorney. Concentrating in bankruptcy exclusively allows our bankruptcy law firm the ability to provide expert legal help at a very affordable price. As one of the few firms in Los Angeles that practice in bankruptcy only we are experienced with the local custom and practice of the Los Angeles court and the trustees. We provide a streamlined affordable bankruptcy experience that is complete, professional, and stress free. With free consultation and flexible night and weekend appointments, we invite you to one of our Local offices in Los Angeles County to meet with bankruptcy attorney Kedikian and discuss all your options. Free Consultation Explaining your Options. We will insure our clients are afforded all the protections available under bankruptcy law and we are committed to fight creditors who try to trample our clients rights. It is the bankruptcy attorney’s duty to explain all your options, describe the process and determine which chapter you qualify under. The attorney can also explain when to file your bankruptcy and which chapter will provide you with the most protection. An Experienced bankruptcy attorney can explain what can be protected here in Los Angeles and what the local trustees will contest. We provide individual service by the attorney himself. We provide free consultation and we would be honored to help you. 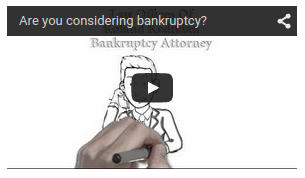 About Bankruptcy Attorney Roland Kedikian. 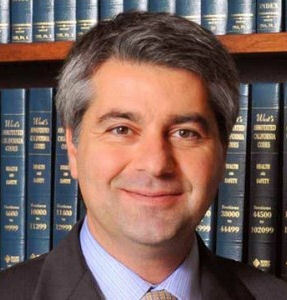 Mr. Kedikian has been a practicing attorney since 1997, focusing exclusively on bankruptcy. His clients are residents of Los Angeles and surrounding cities. He has spent years handling Chapter 7 and chapter 13 cases and is extremely experienced. Since 1997 he has successfully filed and obtained discharges for all his clients to date. Mr. Kedikian is proud to provide professional legal advice for reasonable fees and with the utmost professional integrity. He has an exemplary record of service both with his clients and the larger legal community.